The B9012 pixie tube, made by Burroughs, is the replacement for the short-lived HB-105. 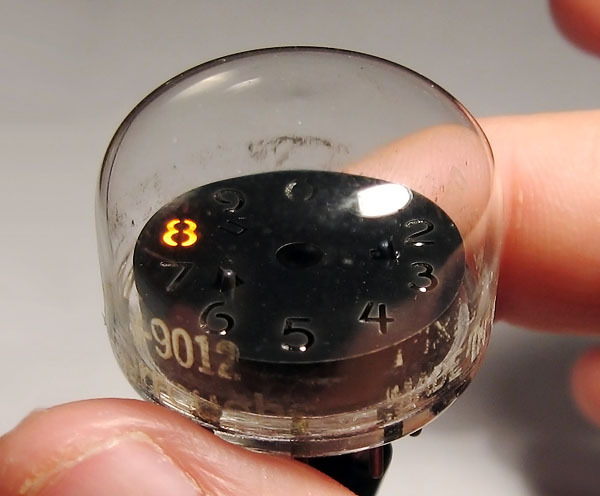 The B9012 has the same display face as the HB-105 and uses the same obscure double-ring 13 pin base, but has a long life mercury doped fill gas and more refined internal construction. The tube dispenses with the high domed envelope of the HB105 and replaces it with a more conventional envelope that only has a height of 20mm. 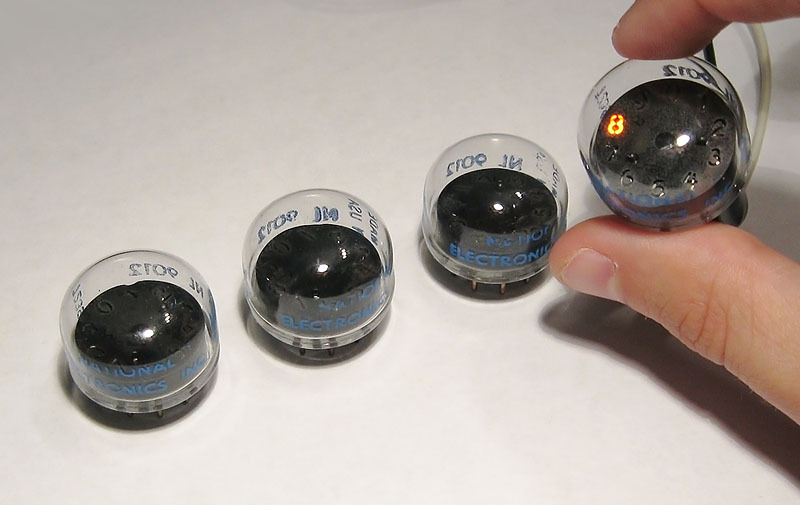 While still rare, the B9012 is not pure unobtainium like the HB-105, and its long life makes it the obvious choice for any sort of Nixie clock-style electronics project. Variations were made with both blue and black print. 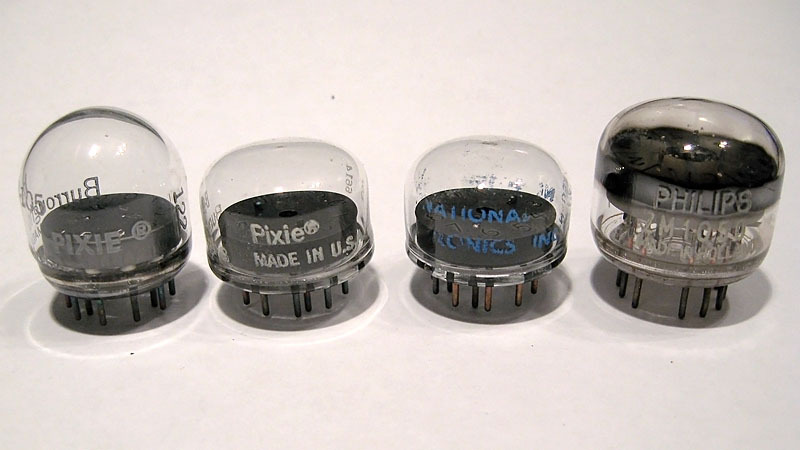 Burroughs B9012 pixie nixie tube. National also made a version of the B9012 neon display, most likely using tubes directly from the Burroughs factory with different print applied. Note the use of blue ink instead of white for the tube's silkscreen print. Pixie tube family photo. From left to right,HB105, B9012, National 9012, ZM1050.